Super Rugby kicks off for another season this week and punters have seven quality games to bet on. We have tips for every game this week, which includes the highly-anticipated Chiefs vs. Highlanders, Brumbies vs. Rebels and Waratahs vs. Hurricanes. It’s never easy to sort out form in Week 1 but the Chiefs always play well in front of their home crowd and bookmakers are offering solid odds for the home side. 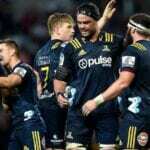 2018 was a touch disappointing for the Chiefs, which played in the toughest conference in Super Rugby and they start the season by playing the Highlanders, which are one of the most improved teams in the competition. Highlanders have many All Blacks scattered throughout their squad and with Waisake Naholo out on the wing, they pose a threat right across the park. This is going to be a close game but we’re giving the edge to the Chiefs. Another close game is expected on Friday night as the Brumbies host the Rebels in Canberra. The Brumbies were once a powerhouse in Super Rugby but they have been going through the growing pains recently. The Rebels have been experiencing growing pains since joining the competition but with that experience under their belt now, they should start to show better results. Melbourne is a side that can fire up when least expected and although a Rebels win wouldn’t be a big upset here, we’re picking them to score at better than even money. We simply don’t believe in the Brumbies just yet but they could improve throughout the season. It’s North vs. South in New Zealand as the perennial underachievers Blues face last year’s champions Crusaders. The Blues have plenty of talent but lack the skills needed to put together a solid season. We think they will improve this year and with talent such as Reiko Ioane, you think they’d have to improve, but this NZ conference is the pool of death and they won’t come out of it. The same can’t be said for the Crusaders, which are tipped to win again this year and we wouldn’t go against those thoughts. They were impressive as usual when winning last season and although they get better as the season progresses, they should account for the Blues on Saturday. The 7.5 line is a tough one so we’ll go with a margin bet for this game. Interesting venue to kick off the season and it’s one that could favour the Waratahs, but coming up against the Hurricanes is a whirlwind experience. The ‘Canes have the firepower to beat any team in the competition and with numerous All Black players throughout the team, they have the class to show for it. Names such as Beauden Barrett are littered in the Hurricanes squad and the Waratahs will need to be at full strength to hold them at bay. Bookmakers have this game framed as we expected at 7.5 and we can’t go against the Hurricanes. They could be losing by 20 at the halftime break and still cover the spread. It is likely going to be another long season for the Sunwolves and although they have been improving, we haven’t seen enough from them to suggest they could beat the Sharks. It’s an interesting betting market with the Sharks at $1.28 in the head-to-head market but they are giving away a 10.5-point head start. That makes us believe bookmakers think this could be a close game and they’re keeping the Sunwolves at a respectable price. The South African sides aren’t as strong as they used to be as a whole and whilst we think the Sharks come away with the win, the Sunwolves could keep it close. Two former powerhouse teams in the South African conference, the Bulls and Stormers will be looking to make amends for a poor 2018 season. There’s typically very little between these two sides, as the market suggests, but the Bulls are usually better from the starting blocks. They also have the advantage of playing at home and the fans do rally around their team. Stormers should be respected as they play a tough brand of rugby but we’re going with the home side in what should be a titanic struggle between two teams that will be desperate to get the season off to a winning start. One of the more unpredictable teams in the Super Rugby competition, the Jaguares host the Lions to kick off their 2019 campaign at home in Argentina. Playing a style best described as “hectic”, the Jaguares will look to play at an up-tempo pace regardless of how that negative affects their play on occasion. It does make for an exciting game, however, and the Lions will need to be fit and ready to play. The Lions finished runners up last season when losing to the Crusaders in the final. They look the strongest contender in the South African conference and they do like to start their season well. Tough game to call but we’re going with the classier outfit.